The bad news is that diabetes is way up in dogs and cats. The good news is that diabetes is considered treatable (as mentioned, cats may even go into remission). However, in order to treat, appropriate diagnosis is necessary. Veterinarians have known about the increasing instances of many tick diseases, including Lyme, for years. In fact, many veterinary parasitologists call the situation at epidemic or near epidemic proportions. Imagine being hung half way out a window by your suspenders 30 stories up, or being held up at gunpoint. That’s actually how I believe many of our pets feel at the vet office, or even before they arrive, as they realize that’s where they’re headed and fear begins to ramp up. Click here to read the November 2016 Edition of the Positively Newsletter. Increasingly, human and veterinary medicine are working in tandem. This year, I began a one health campaign called Stop Lyme in conjunction with the American Veterinary Medical Association and the non-profit Global Lyme Alliance. While the flames of controversy are fanned regarding the potential danger of e-cigarettes to people, it’s clear e-cigarettes may be lethal to dogs. Many decades ago, veterinarians didn’t really know the significance of heartworm disease in cats. It turns out that cats are about as likely to be affected by the disease as dogs - though the disease is totally different in cats. Residents fleeing abuse overwhelmingly said that URIPALS not only allowed a way out, the program provided families a way to stay together, as pets are considered members of the family. Having their pets with them serve as a kind of therapy. Veterinary experts give their tips on keeping your pets safe and happy during the cold winter months, including how to prevent frostbite and special tips for senior pets. Holidays are generally a wonderful time for both people and pets but also may bring unanticipated situations. By abiding by the following “Do’s” and “Don’ts,” you and your exotic pet will hopefully have a happy, safe, and enjoyable time! I have been seeing too many people misinterpreting a dog’s communication resulting in confused and worried dogs, frustrated humans, and sometimes even a dog bite. “I wanted to shine a light on those who don’t make it out." Pets that are considered by society as “less adoptable” are just as loving, sweet, and kind as all of the other pets. However, they aren’t blessed with the natural poster child adoptability as the other pets in the shelter. Are Annual Exams For Our Pets Really Necessary? Annual pet exams aren’t just for administering vaccines; they also provide an important opportunity to develop a customized veterinary wellness plan for our pets. Common household alkaline batteries can pose a real danger to pets if they are accidentally chewed or swallowed. Here’s what to do if your pet ever ingests a battery. Why Aren’t Pets Being Protected Against Heartworms? The numbers are so shockingly small that the president of the American Heartworm Society calls it “frightening.” Only just over a third of all dogs leave a veterinary practice with heartworm preventive. Yes, your pet could be affected by vaccinosis. Yet, not all pets that receive vaccinations will develop any form of Vaccine Associated Adverse Event (VAAE) or vaccinosis. Are Pets a Luxury Item? Here in the United States, the number of cats and other domestic animals per household continues to grow. So does the number of food options for domestic animals. Premium and so-called holistic foods are showing some of the biggest increases in sales compared to more basic brands. Dr. Patrick Mahaney discusses vaccinosis and Vaccine Associated Adverse Events (VAAE). Learn how you can prevent your pet from these all too common reactions. There's nothing easy about losing a pet, especially when your pet is experiencing pain and discomfort in their final weeks or months. But a new branch of pet care services, pet hospice, is helping ease pets' suffering and provide their owners with a sense of peace and comfort. Just in case you needed one more reason to keep a furry friend around, it turns out that owning a pet is associated with reducing your risk of heart disease. A new scientific statement from the American Heart Association looks at the association between pet ownership and heart health. This holiday season you can help shelter pets! You’ll love it. 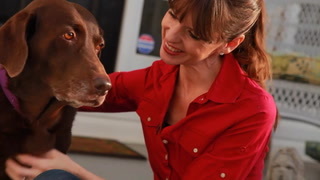 Victoria Stilwell has been tapped to lead the content development and creation of eHow Pets - a brand-new YouTube channel to be launched on April 1, 2012. 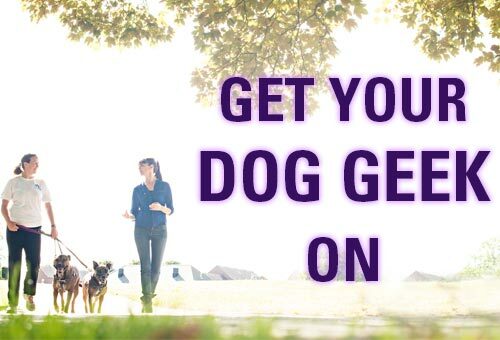 In an exclusive partnership with premier online digital media company Demand Media, Stilwell will be featured in the majority of the new channel's web video series, providing viewers with a wide-ranging array of training videos, pet-related featurettes, how-to segments, and fascinating reports from the world of dogs, cats and more. Victoria was featured in a recent People Pets article about the new season premiere of It's Me or the Dog. 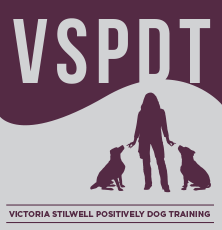 In addition to some insights into the new season, Victoria also discussed her network of VSPDT trainers and a potential new addition to her pet family. Read the article here. This weekend featured another successful workshop and low stress handling lab in Chicago at Narnia Pet, a fantastic positive-reinforcement based dog-training facility. While I have held most of these labs for veterinarians and their staff, most of the attendees at this lab were dog trainers, groomers, doggie daycare providers, as well as some veterinary hospital staff.